I'm going to be sharing with you the truth on the fourth-dimensional shift. I'm going to be sharing with you what to expect and how you can easily move through it. 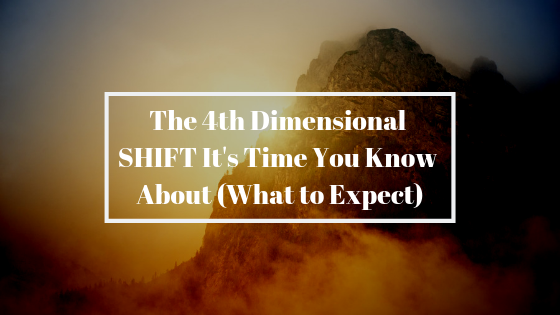 Today, I'm going to be sharing with you more of understanding what is called the fourth-dimensional shift. It is a shift that is happening right now on the planet and it will continue to happen over the next 15, 20, 30, however many years. It's something that we're all going through collectively. Some people are more aware of it than others. Some people can feel it more than others, but in general, it is something that is available to us right now. Imagine that right now on the earth, there are states of consciousness where we can perceive duality, which is good, Bad, light, dark, and all these contrasts. We could experience that right now, but imagine there's also a state of consciousness where we let go of that and we start to exist in a higher vibrational state. Well, that is available right now and many people on the planet are moving between the third and fourth dimension, and you can think of the fourth dimension as well as sort of realizing the truth about life. This is a realization that I had years ago when I went through my spiritual awakening, I realized that there is more than just the five senses. We normally think the five senses. This is everything that there is in the world. We interpret our reality through the five senses and yes, we do interpret our reality through the five senses, but the understanding and knowing that there are more vibrations then what we can perceive of. Just like on the light spectrum, we can only see between infrared and ultraviolet, but does that mean there are not colors outside of that? No. That's just a small, tiny window that we can see. Same with that of the decibel range of what we can here. We may not hear the sound of a dog whistle, but that doesn't mean that the sound doesn't exist. It just means that dogs here it. In the same way, we can see that our senses are limited and when we come at it from the point of we need solidity in order to prove things, we are then going about it in a way where we feel like we close ourselves in and we become too logical. Remember, in life in general, it's about a balance of the intellect with the intuition. It's a mixture of both and sometimes we get locked into these perspectives that we have to be able to prove everything. We have to be able to prove everything, but that mentality is a 3D mentality that keeps us locked in what we could in a way call a matrix. That's going to sound kind of scary when I talk about the matrix, but in a way, when you. Have you ever seen the movie the Matrix? It's a symbol, but it's also somewhat true. There is a matrix of our own mind for the way we see the world and if we buy into that Matrix, guess what? That becomes our reality. Let me share with you a little bit about my journey through understanding the fourth dimension, understanding this capacity, what it really means to live in this way as well. I went through a spiritual awakening in 2012. Maybe you've heard my story on it. And when I went through it, I started meditating because I had ADHD and I started to observe my thoughts. And as I started to go through that, I started to feel completely different about reality. I realized that there were senses beyond the five senses that we had because, in deep states of meditation, I could feel it. I could feel something beyond the five senses. And it made me realize, hey, there's something here. There's something beyond just this physical ego structure life. And that opened my eyes. I started meditating and as I started doing that, I became aware of how my beliefs create my reality. I had like a tough childhood. You've probably heard me talk about that before too. And because I had a tough childhood, I identified with my story and I realized in a moment there was this moment where I realized that my story was something I kept telling myself and because I kept telling myself that story, I kept feeling the negative emotion because of it. At the same time, um, I started to become aware of this. I started to let this go. As I started to do that, my vibration started to raise. I started to feel much better, I'd say on a scale of one to 10, I normally felt a three to a five out of 10, which is not. That wasn't so great. Then all of a sudden, I'm feeling as seven or eight out of 10. I started to feel high all the time and I was looking at myself and I was like, wow, why I feel so different. And from that point going forward, I quit smoking weed because I used to smoke weed because I was taking Adderall, which is the prescription drug they give for people that have ADHD. I would take that during the day and I'd be able to focus at work because I worked a sales commission job and I go home at night and I wouldn't be able to eat or sleep or what helps with eating and sleeping well, obviously that was a weed. I would smoke weed at night. However, I started meditating and within a couple of weeks of meditating and I didn't need a smoke anymore. I just started feeling really good. And then also at the same time, I got rid of Adderall. This all happened within a couple week period. As I was going through this experience, what I started to realize is that life, in general, is a form of a dream. You get this in the form of intuition, in a form of a feeling. When you start to do this work, when you start to go within, you realize that that life, in general, is something that appears to be so real because we identified through our five senses. But what I became aware of is that I could instead learn to observe life not engage so much with the red. And this is also where you may go through experiences of understanding that you are multidimensional. For me, that was understanding a certain star system called the eighties and this probably sounds kind of out there, but when I was looking and I was looking into this, there was something about it that just resonated with me. I felt a deep resonance my whole life. I grew up really liking dolphins. I'd always get dolphins as gifts, like the dolphin’s statues and stuff like that from my dad and, and for my family. And it was just something I was always so fascinated with. And these little things started to hint themselves at me and the, for example, the Pleiades was one of them. I read about it and something about it resonated so strong that I'm from that point going forward, I knew there was something true about it. I knew I had a connection to that, of what we call the eighties, but understand that we're multidimensional in nature. We have connections all over the universe that we are connected to because our soul is not just this big, our soul is huge. We are so much more powerful than we can imagine. That planted a seed for me and then I started becoming very interested in that, of understanding these different facets of multidimensionality, how we have many different existences at the same time because I connected to my existence in that reality which exists right now, so we have to understand time in a different way as well when we look at this, but then I went through a period of a couple months where I became very angry because not very angry. When you go through this and understand this, the way that the reality works, you realize that there are certain people that have that have certain type of pool over the conditioning of our societies. What I mean is the media. I mean like some people call it the back government illumines not you, whatever we want to call it now for a couple months. I got kind of angry with that because I was like, I'm in a way wanted to fight against that idea and I wanted to. I wanted people to know this information because the first thing you learn is, okay, now I know more about how reality works. It's something that you experienced as well. This isn't just some intellectual ideas like, oh, I create borrowed reality, and it's like, no, you create your own reality. Then you see the correlation. Do you want you to think of what you experience and you feel this connection to your spirit and it's something you feel and it's like something someone else can tell you, oh, that's not real? That's not true. When you look at them and you go, you don't. It's me like it's, it's my experience. It's how can it not be real? Do you know what I mean? Or from that perspective, so it's about understanding that this is about the experience and there are different layers of it. There may be a layer you go through as you are shifting into this awareness that you become a little bit angry at the way the current society is because the way current society is may be that there's a certain level of control and that control may make you feel like, oh, the government's doing this. The money's just a system that keeps us in a slave. All those perspectives, the fear that we have towards it actually feeds those perspectives. That's one thing I realized as well, so I went through a period of where I was kind of angry at it, but then eventually I became at peace with it and realize that what can I do to make an impact? For me that was making videos, so that's what I'm doing now and I teach it from a very positive place. Yes, maybe the in the past there were people that were controlling certain events or the money system is owned by corporations or things like that, but the key is to not be afraid of it because it was afraid of it. We feed it and we feed that 3D reality. You see, the reason I say all this is because this information is here for us right now and in a way, it has been blocked from us from a certain perspective because of social conditioning and because we're constantly kept in the 3D reality through our emotions. They give it like watch the news, watch the negative stuff that happens. Keep entrained into those lower vibrational states of consciousness as you do so. It keeps you in the 3D reality. The key is an observation and knowing that there is a fourth-dimensional state of consciousness which is getting rid of the ego, getting rid of these different perspectives and seeing it for what they are because here's the truth about reality. Our beliefs create our reality, but the thing is because of millions and billions of people on the planet are led to believe that reality acts a certain way. It creates a physical. It creates this energetic structure for how reality works and therefore that becomes a self-fulfilling prophecy. The thing is, the biggest thing is, is when people. We talked about the Illuminati and all these different sides of the government or behind the government, whatever. The only thing that gives them power is that they, they direct our focus. The true power is within the billions of people on the planet and as we start to wake up, which is happening right now, we are becoming more aware of it and we're taking our power back. The process and the shift into a fourth-dimensional state of consciousness is about understanding that reality is literally not just metaphorically. It's literally a dream. It is a dream and it is a fluid dream. The only thing that keeps us from experiencing miracles on in our life is believing that things are so rigid. If we allow things to be magical, they will become magical. The more we realize that life is a form of a dream, the more dreamlike our life will become. It's about understanding this correlation and understanding that we are immortal, spiritual beings, live in temporary human experiences. This is important because then we realize that we could still take our life and have fun in our lives and go through this. This is like an Avatar. This is like an Avatar in a movie. We are embodying it. Yes, we can identify with the body, but the biggest con in life has been people believing that they are just their body. They're just their ego. And I believe that for a long time. Waking up out of it, it is such an empowering feeling to this day. I still listen to certain music. I used to listen to a lot of enigmas because I've heard of enigma and Enya is like the spirits of music. I used to listen to that when I went through my spiritual awakening thousand, 12 when I listened to those music and that sound. It brings me back to that nostalgia feeling of that expansion, even though I'm still awakening more and more. It's like this feeling that I get when I listened to it and I really liked it. And when it comes to this whole process, understand it is a process, but it's you becoming more aware of it. One little thing I want to share really quick, and I've shared it in a couple of other videos before, but something called quantum healing hypnosis technique, which is a way of having the higher-self come through. It's a form of hypnosis that Dolores Cannon has developed and she passed away recently, but she has over. We were 17 books that are transcripts of people in QHHT which means their higher self is coming through. They're speaking the words and it's being tape recorded and afterward, a lot of times they don't even remember what they said because they're in a trance. They were in, their higher self is coming through and Dolores Cannon, he would ask them questions like, why did you incarnate at this time? What is your purpose in this life? What are you meant to be doing? What was your relationship with your mom and your dad? Why did that happen? Why did this happen? You know some questions are, they're developed. 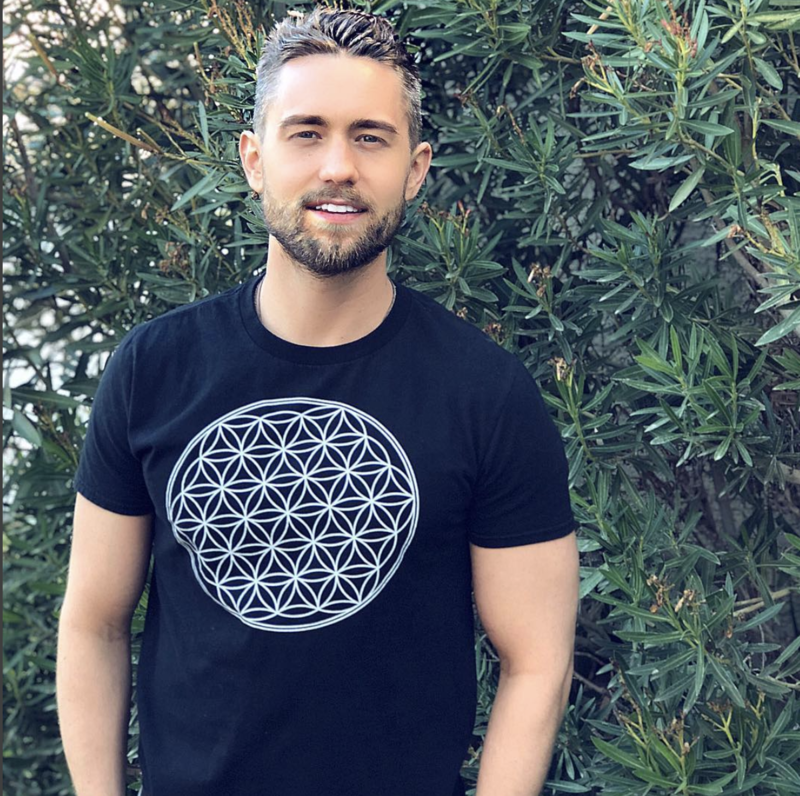 And one of the things that were consistent is that people from all over the world, thousands and thousands of people that have been through these transcripts that didn't know each other have said that the reason they're here right now is for this shift in consciousness that's happening right now. Because as a society we are going from a third-dimensional state of consciousness to a fourth-dimensional state of consciousness. And because of that, we are waking up, we are waking up from the dream of separation. We are waking up to who we really are. And the fourth dimension is really about us moving from our control of the third dimension into our heart center. True power is similar to that. But as you see the solidity of our thoughts keep us and because of our mass beliefs, there are billions of people in the world that believed that's not possible. It keeps us within a certain paradigm. If you ever heard of Atlantis, that was a time on the planet. When we did have abilities like that, we'd use crystals. It was a very magical time on the planet. But what happened is we fell from that because of certain decisions that were made, kind of went off into the ego a little bit too much, and then that caused the society to collapse. And now we're going through a similar process of going back up and it's a very beautiful thing. And part of that is realizing that we can stop identifying so much with the ego. We get stop identifying so much with, with how everything is and thinking. Everything has to be so solid. We can start to realize that we are just. Our ego is an Avatar, our egos, and Avatar, but our whole life we have these experiences that accumulate and we say, this is who I am because I've experienced this before, but that's not who you are. That's just your body. That's just your ego. You see, you can start to see it more of your ego is a part of you, but it is not you. At the same time, it is something that you are using. It is something that you can integrate. You can integrate your ego and understand it for what it is and have this awareness of it, but at the same time know that you are so much more. You are unconditional love and bliss. You see, you have part of you. You the most of you are in a higher dimensional state of consciousness. Dreaming, projecting yourself to this reality and in this lifetime, this is about awakening. This is about awakening back up to that fourth-dimensional state of consciousness where we merge into our higher self. The fourth dimension is really about merging into our higher self and Wednesday say the fourth dimension gets a little bit because of the 3D, 4D, 5D. In actuality when we look at we could say that we're already, we've already been in the fourth dimension because we have three dimensions of space and one of time in a way the way that I've been described it before is we are moving into a fourth density which can be considered the fifth dimension or we are in third density moving into fourth density, but these names and these terms aren't really that important. The idea and what is important is that we stop identifying so much with the ego. Understand your ego is a machine. It's just playing itself out. It's got these thoughts about the reality of how it works. It's got these thoughts and it thinks these thoughts and it has these emotions and we react to it and we have this perpetual loop that happens over and over and over again, but ego is just a machine that is doing its job. The key is to not identify so much with the machine. Don't identify so much with the ego, integrate the ego. I'm not saying to resist it, I'm just saying that the more you become aware of it, the more you can then integrate it in a powerful way and the more than you can act in alignment because you can align with a higher vibrational energy that you naturally are, so just have that awareness that you are more than your ego. Your ego is just doing his job, have compassion for the ego. The ego just wants to survive, and as you do that, you'll find that then things in your life being too aligned in a powerful way, so the fourth dimension, fourth density, whatever we want to call this, we're moving into it right now. If you're reading this blog, then it's meant is you cannot perceive that which you are not the vibration of. If you proceed with this blog, you're going through the shift. My guess is that you're going through the shift because you're going to help other people go through the shift and help people understand it. Part of it is having these things get brought up. These negative experiences get brought up from our past, observing them, letting them go. One of the most powerful meditations I've created on completing the past. If you want to complete the past of the three d, in order to transcend the three d, you have to become at peace with it. My name is Aaron Doughty and I help people expand their consciousness. My areas of interest for this blog include motivation, meditation, neuroscience and enlightenment. The purpose of aarondoughty.com is to inspire change to those who want to experience more in life. I will openly and passionately share the tools, resources and processes that have made a difference in the quality of my life to help you do the same in yours. I’ve always believed that finding ways to add value to other peoples lives is the fastest route to both happiness and fulfillment and this is my genuine intention. My name is Aaron Doughty and I have a passion for personal development and growth. Copyright text 2018 by Aaron Doughty.